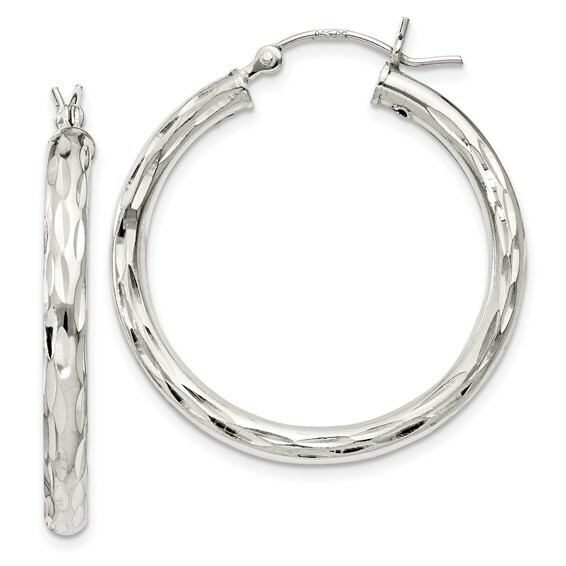 Sterling Silver Diamond-cut Satin Polished Hoop Earrings. Weight:3.75 grams. Earring measures 1 1/8 inch tall.